Based on a global research program about internal auditing in practice this research report delivers valuable insights into current and future trends in internal auditing. You will gain benchmarking information on organizational characteristics, internal audit function and staffing, internal auditing standards, tools, skills and competences. 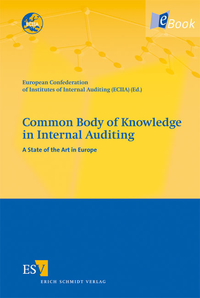 The most comprehensive study about internal auditing practices in Europe with data from 21 participating countries! Als gedrucktes Werk mit dem Titel Common Body of Knowledge in Internal Auditing erschienen.